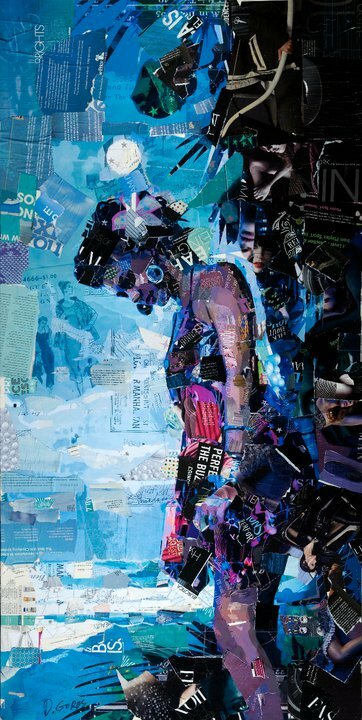 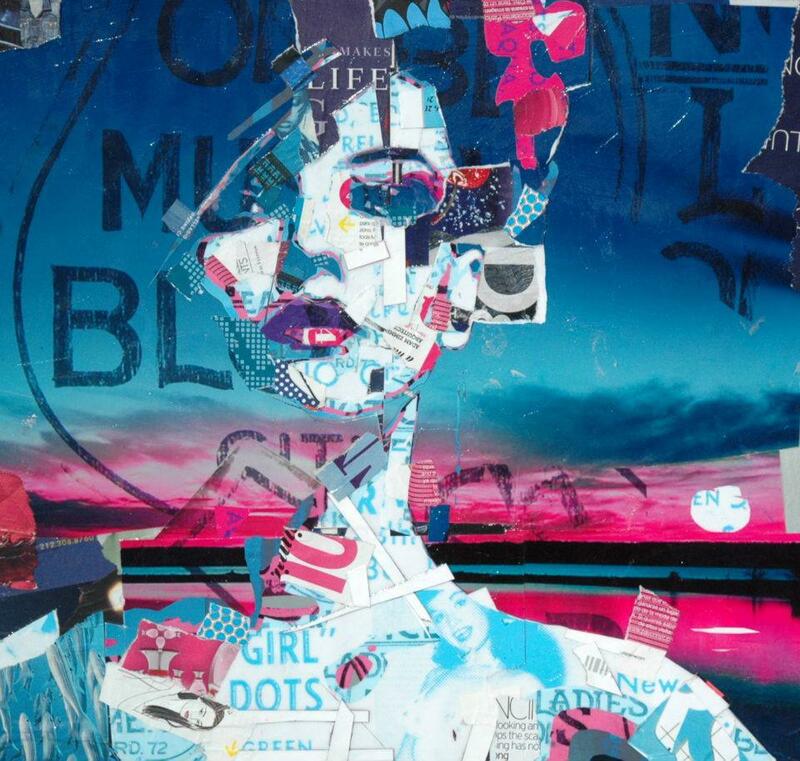 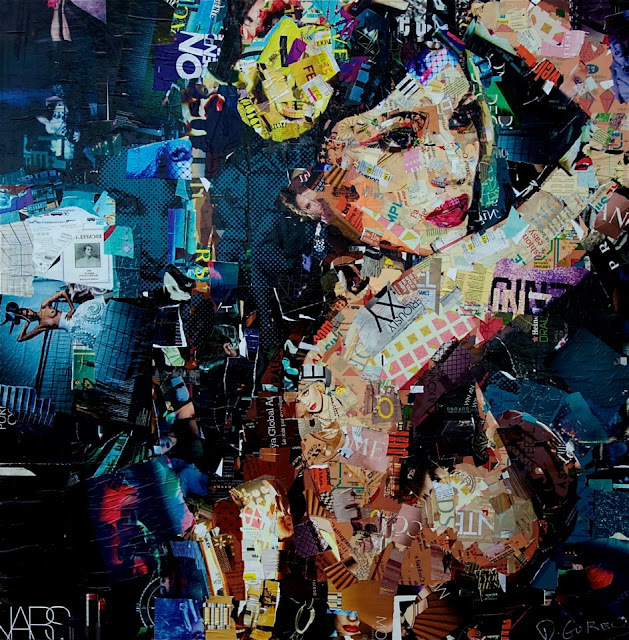 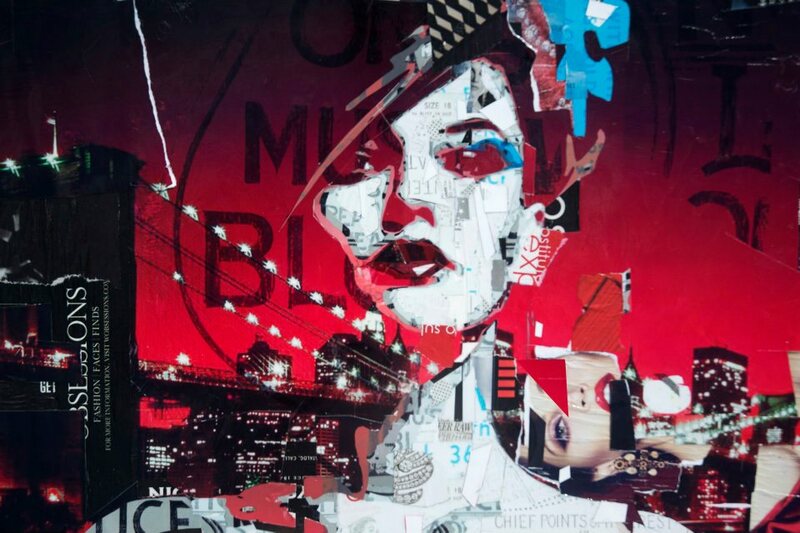 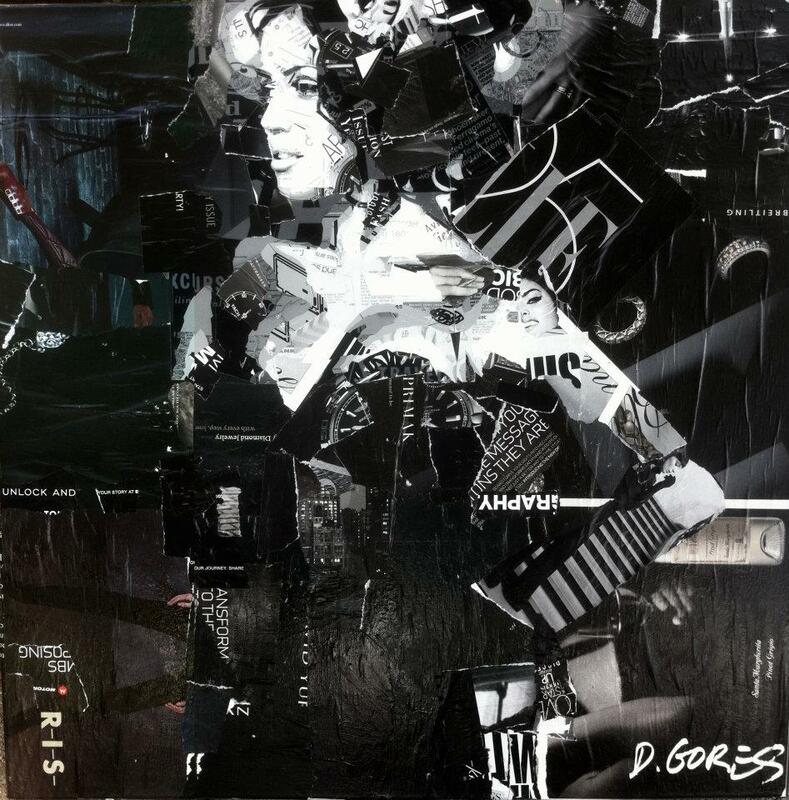 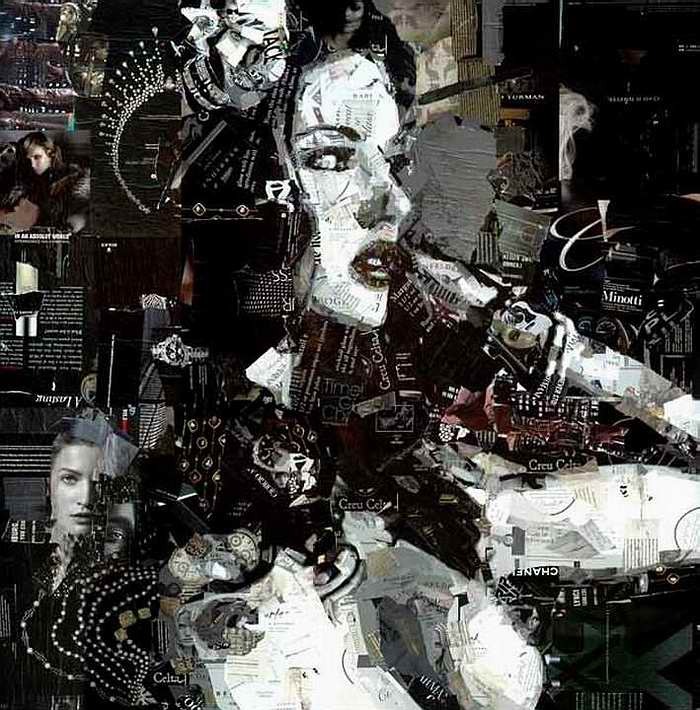 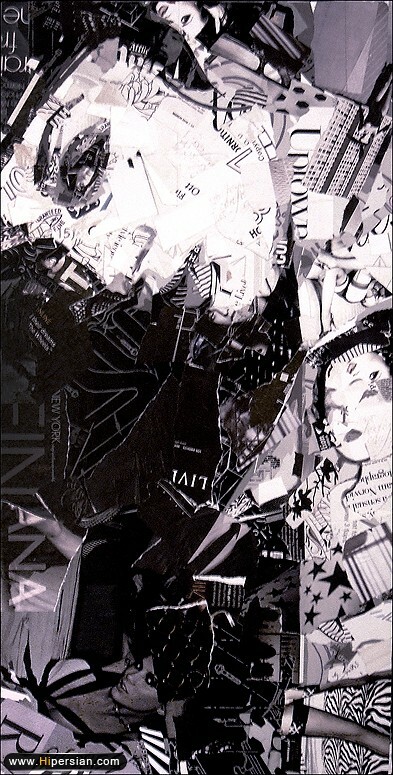 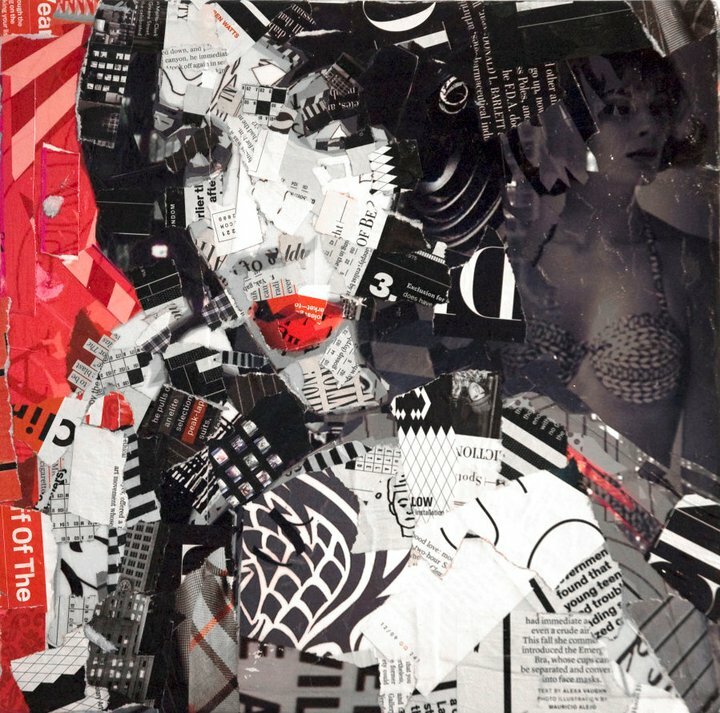 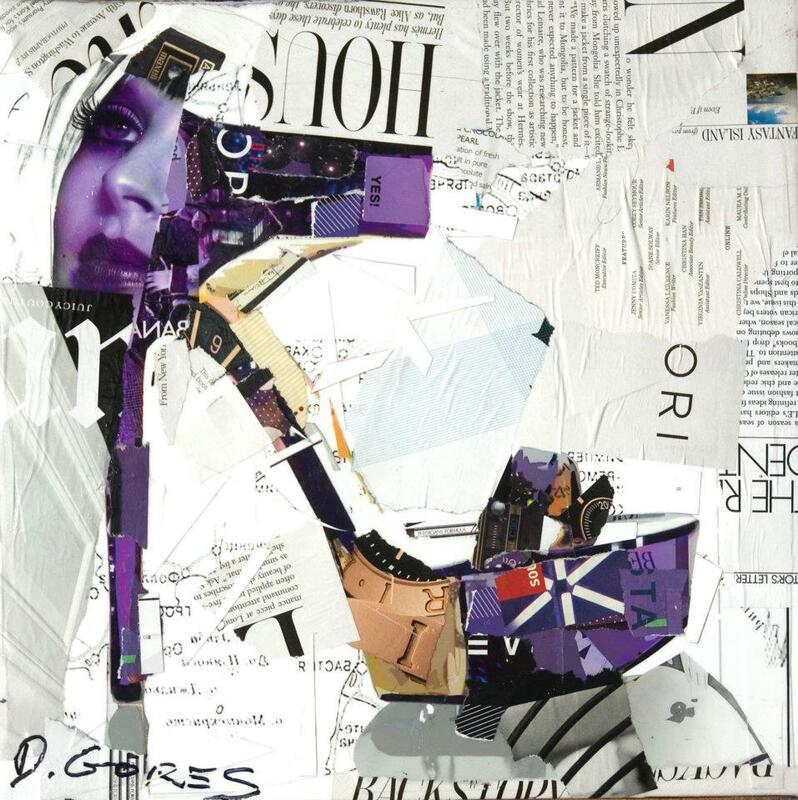 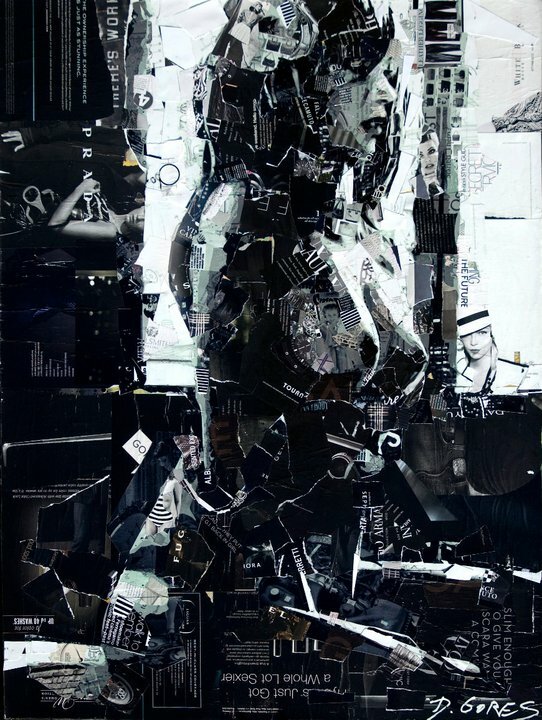 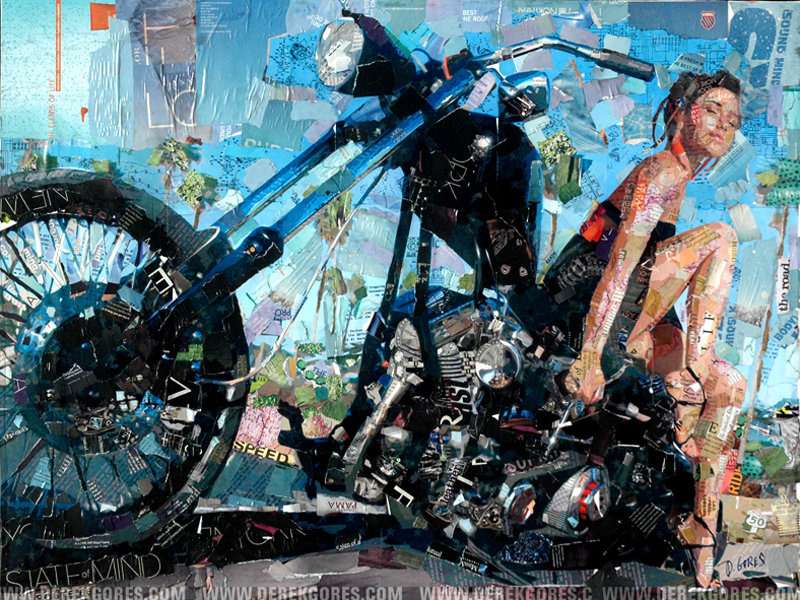 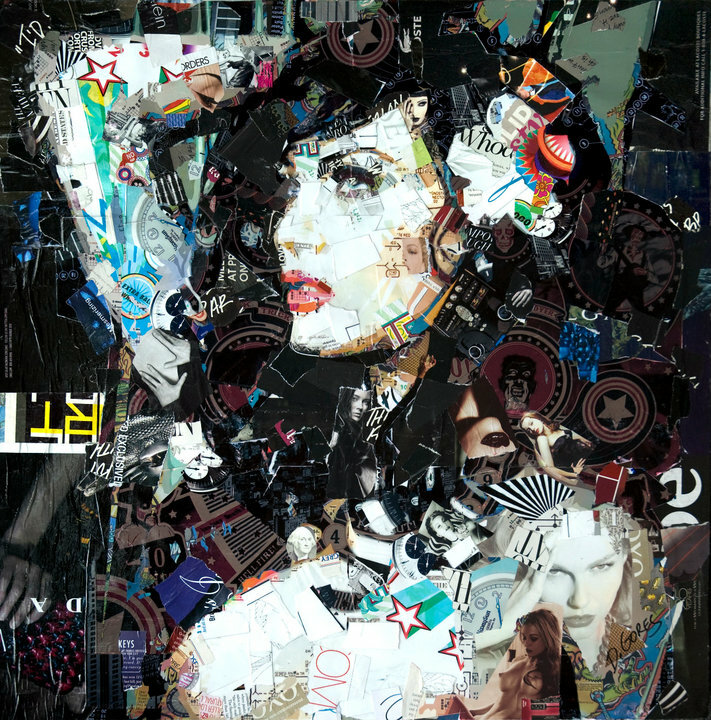 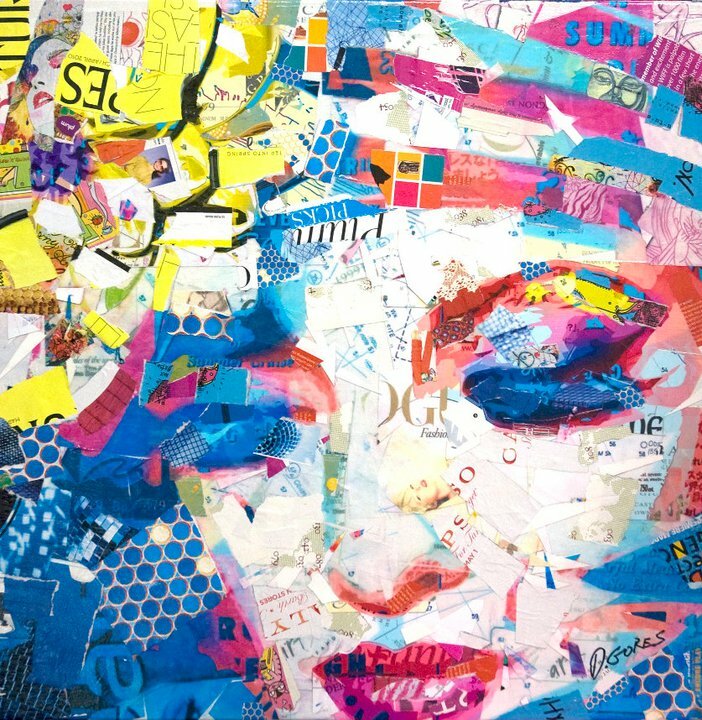 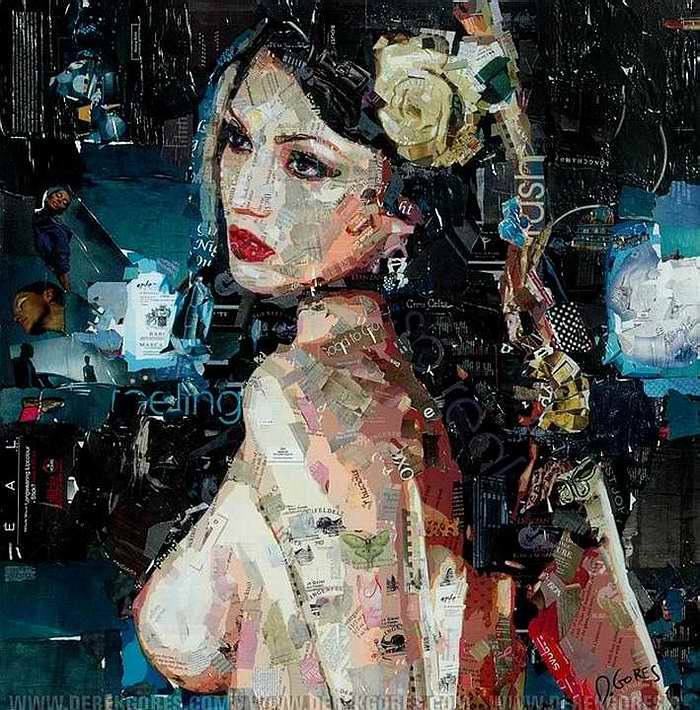 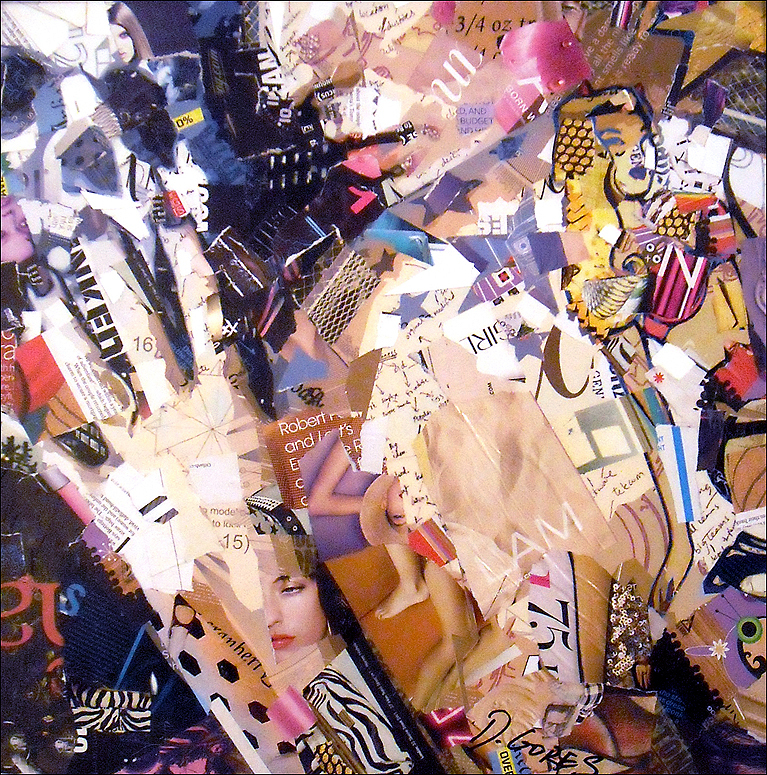 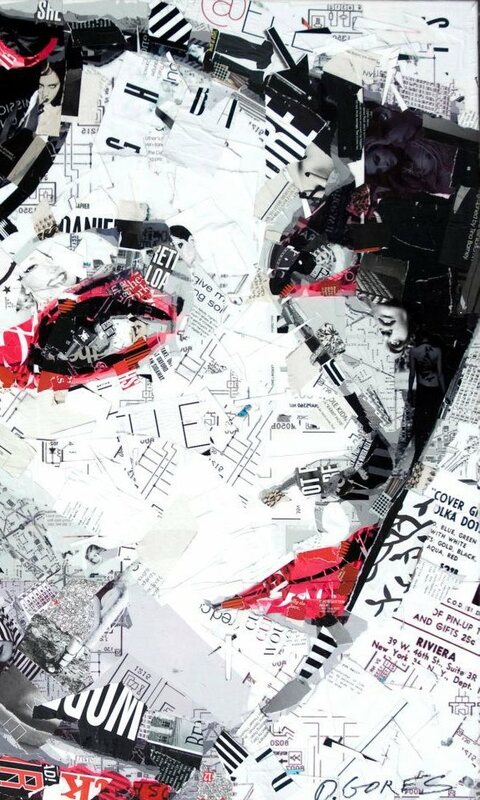 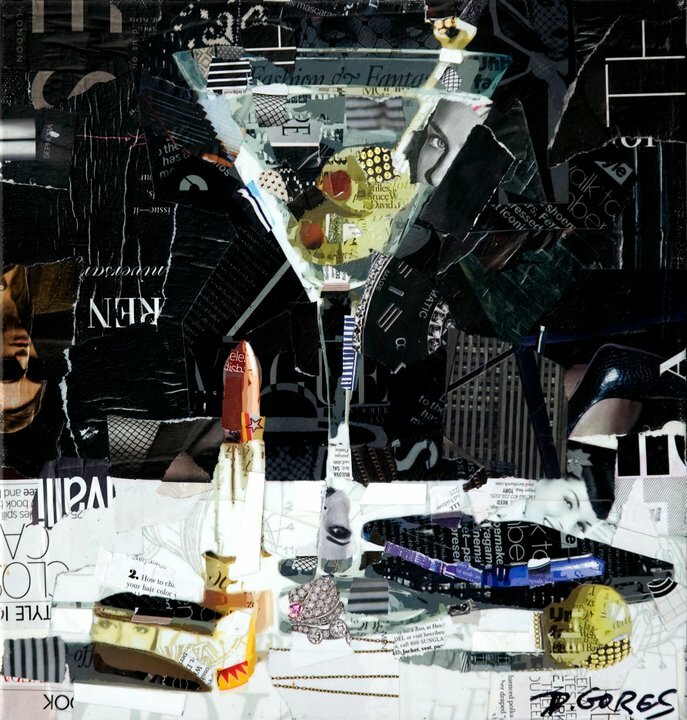 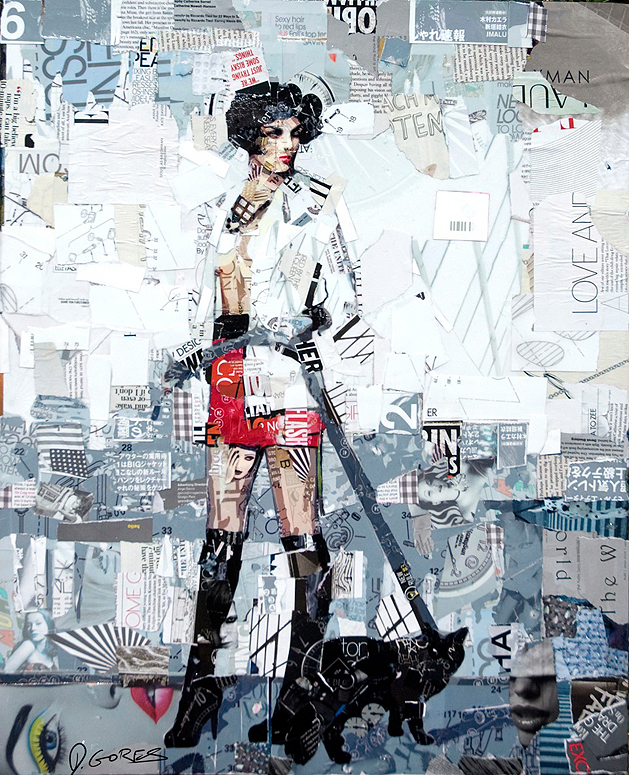 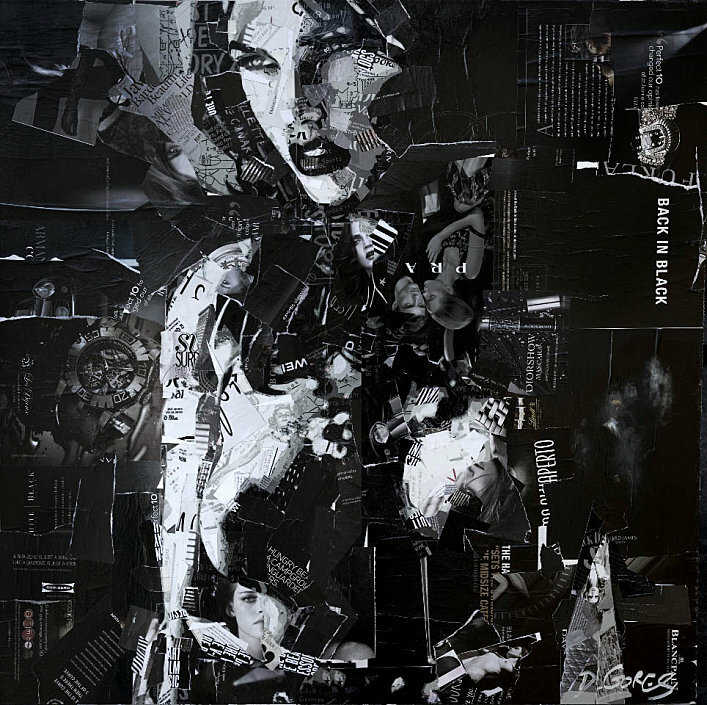 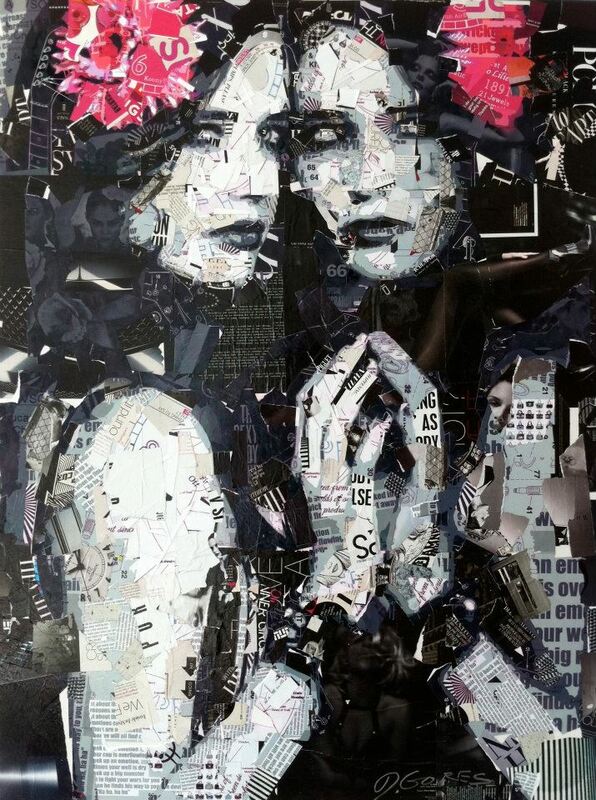 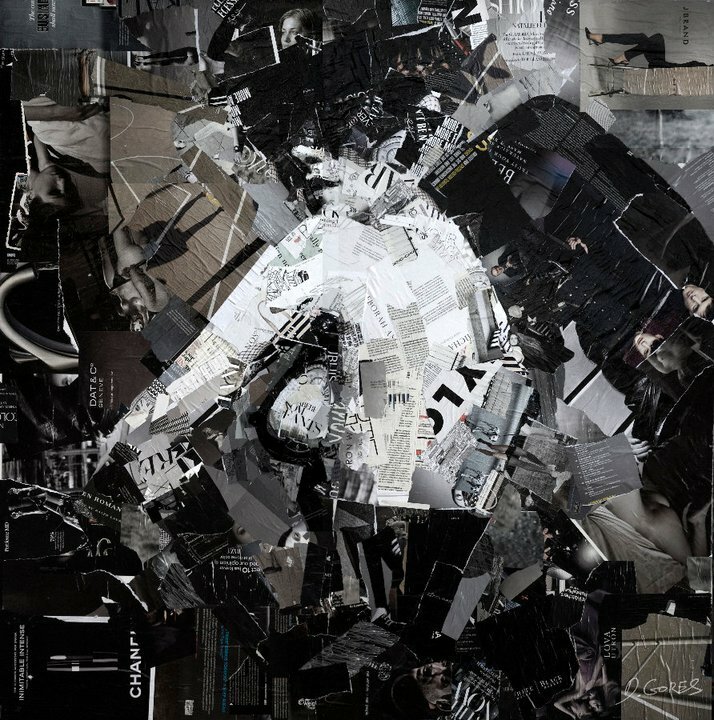 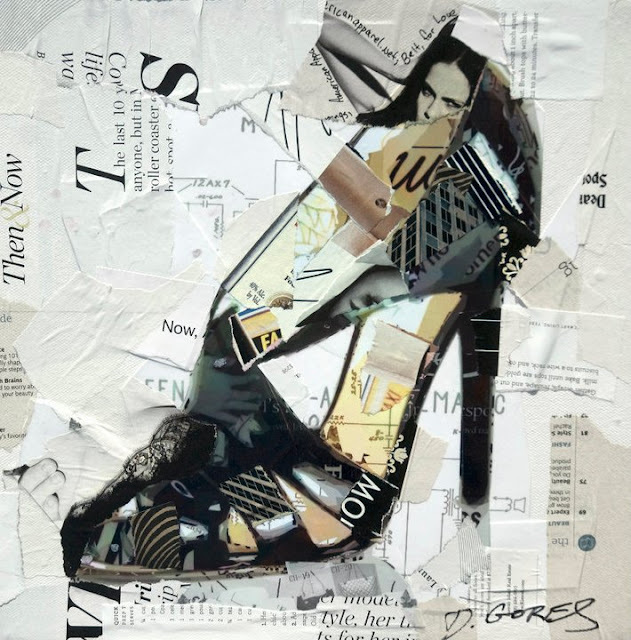 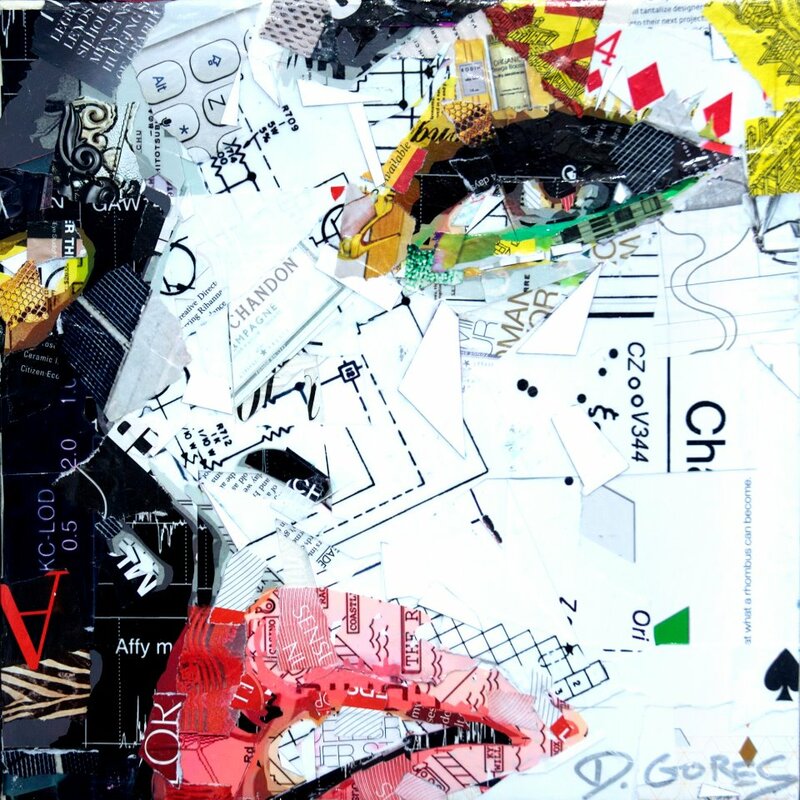 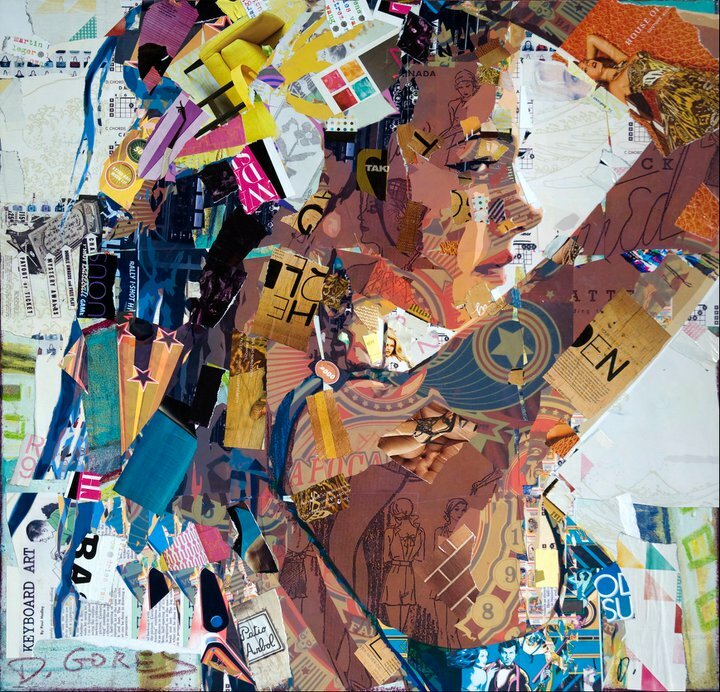 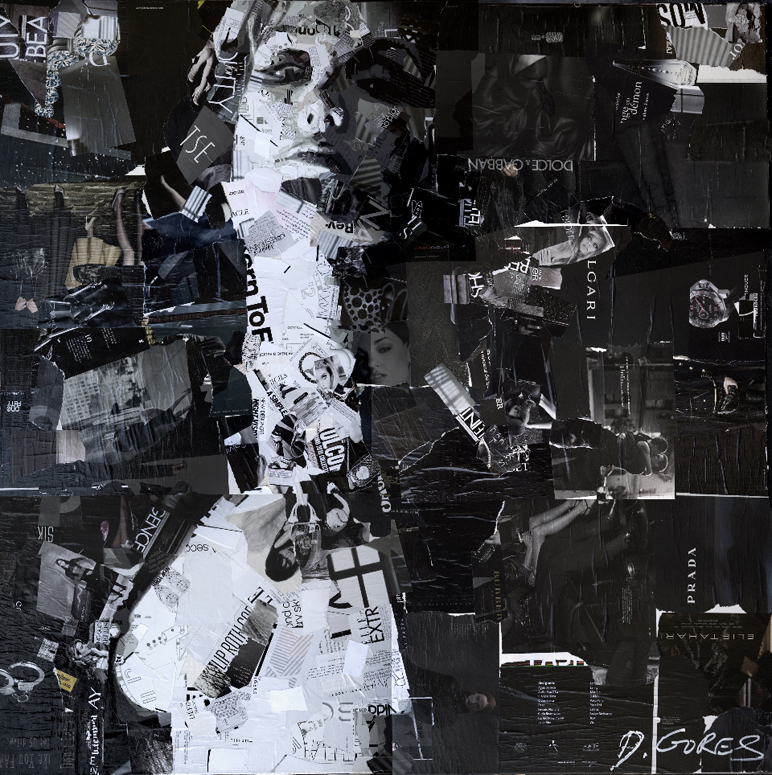 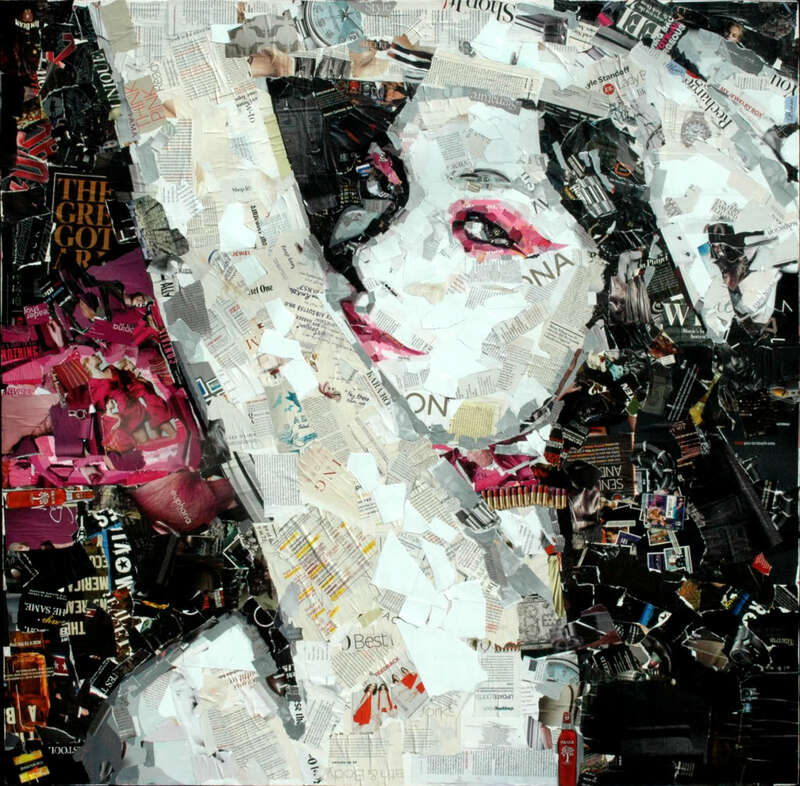 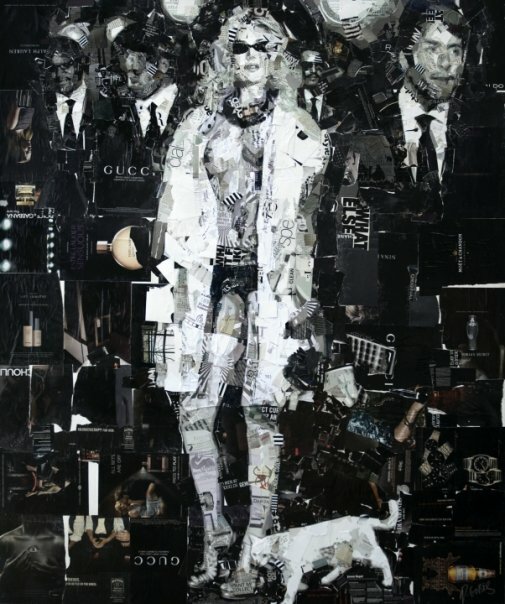 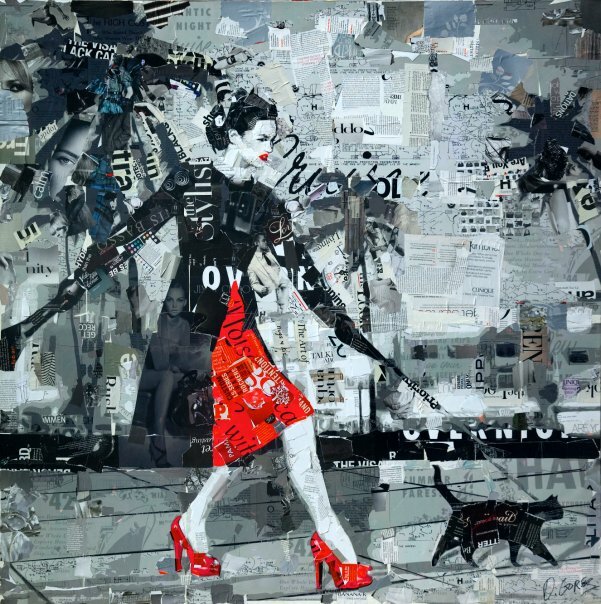 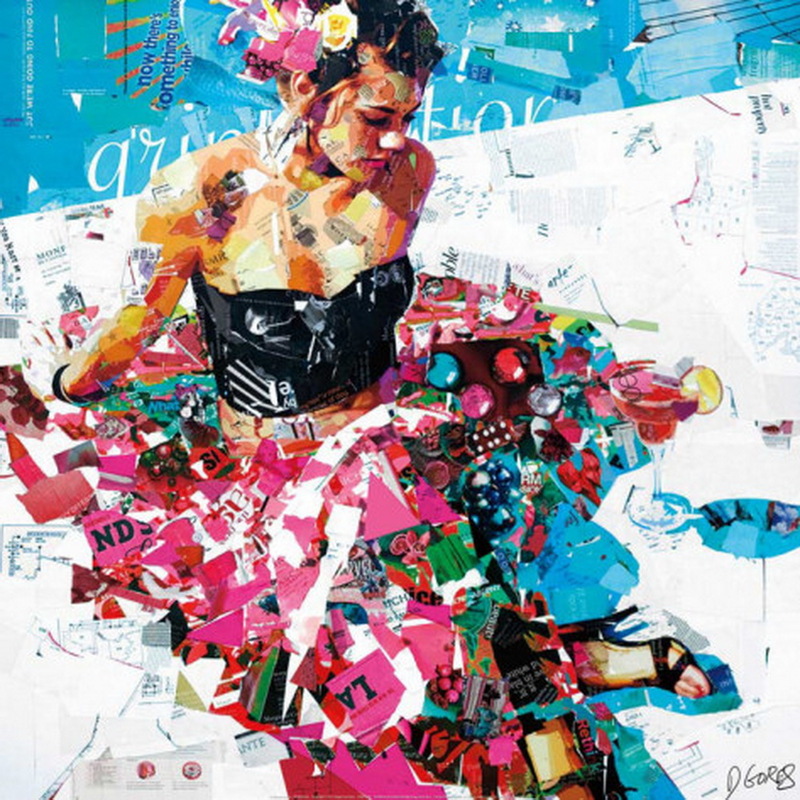 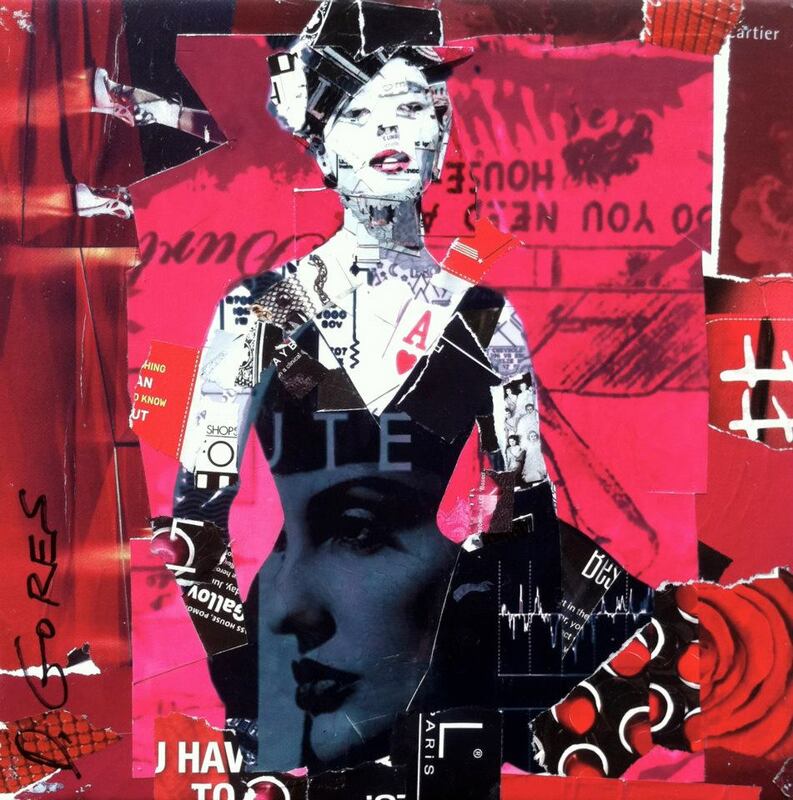 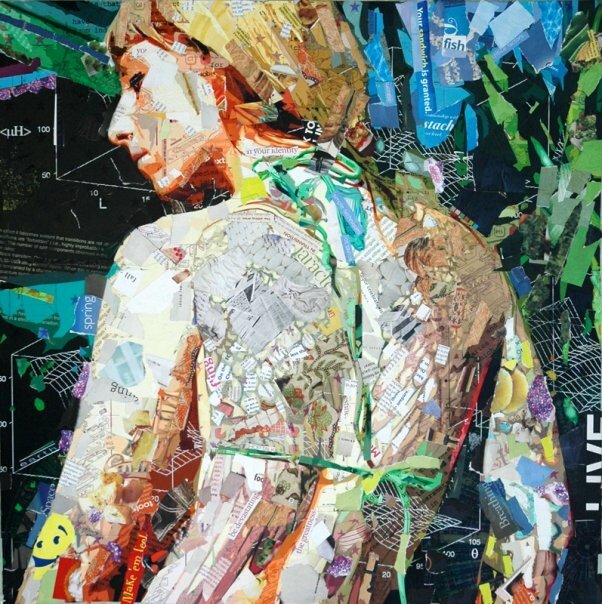 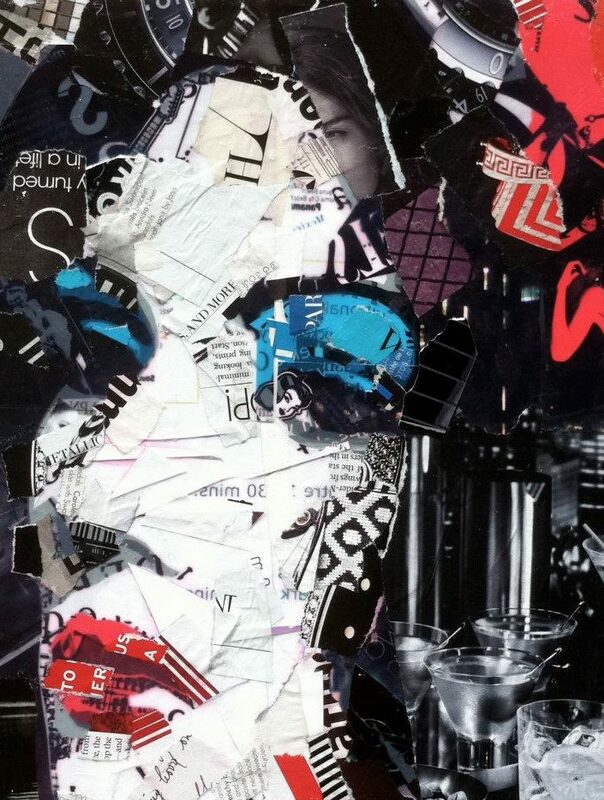 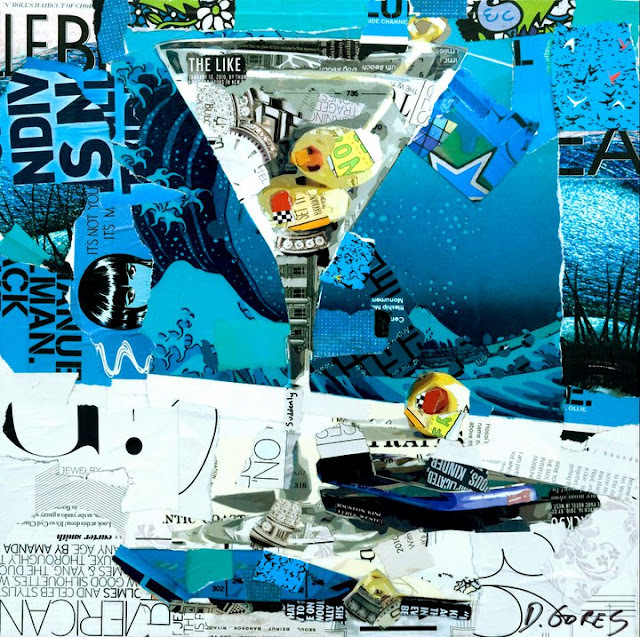 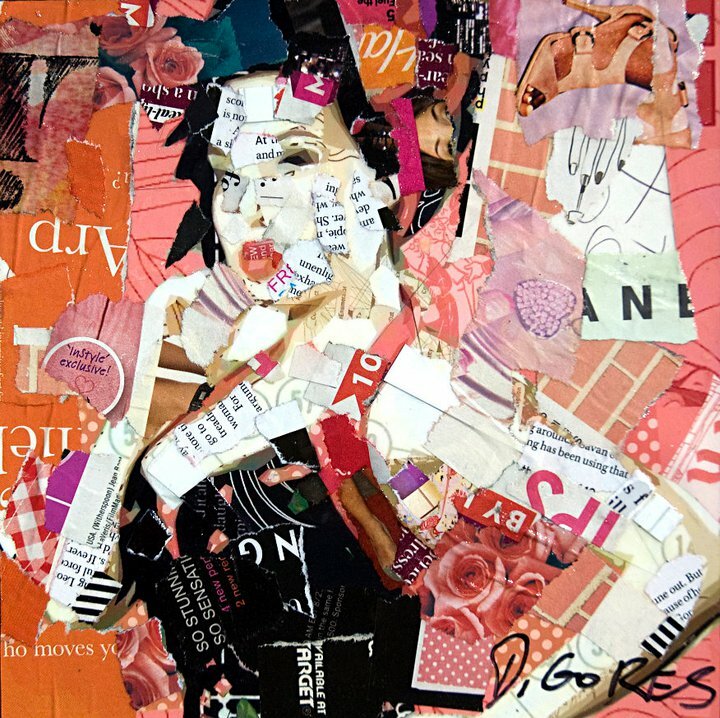 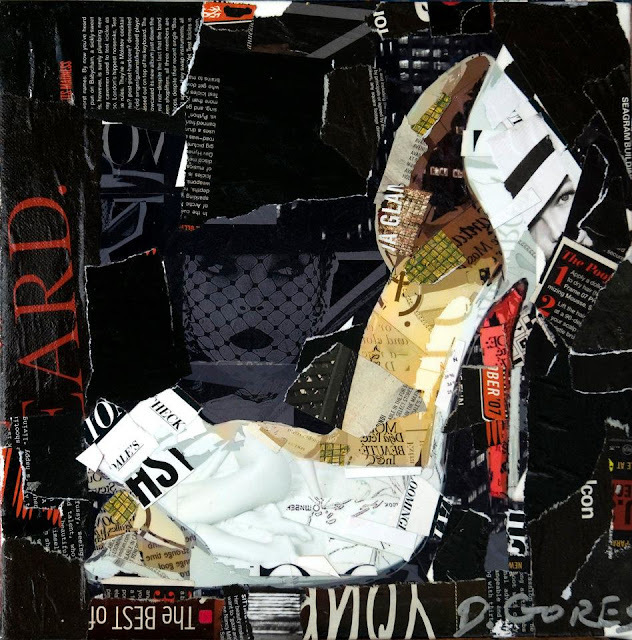 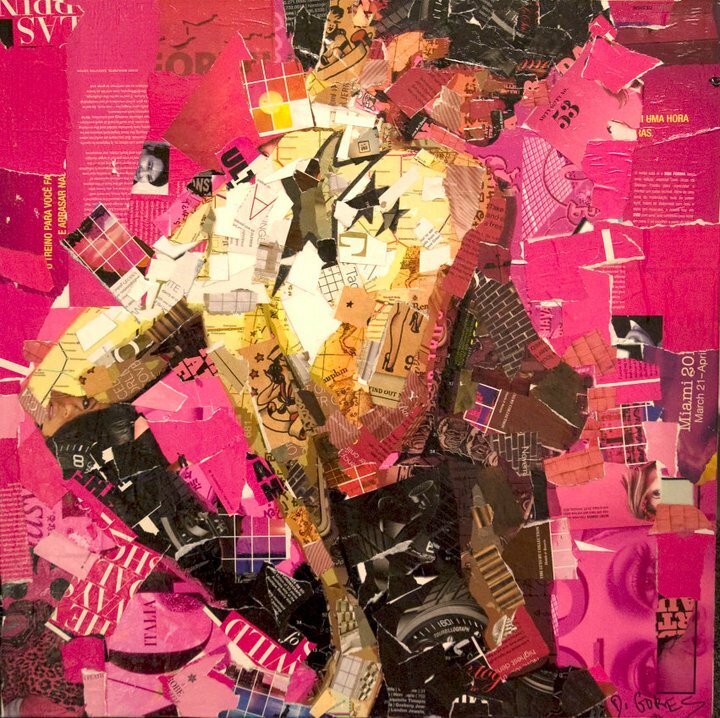 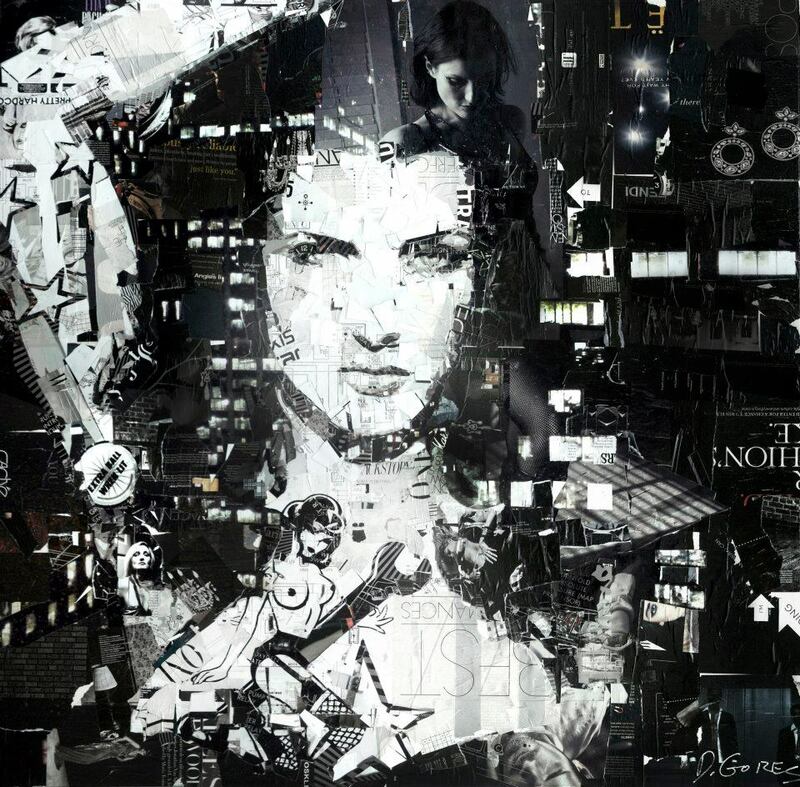 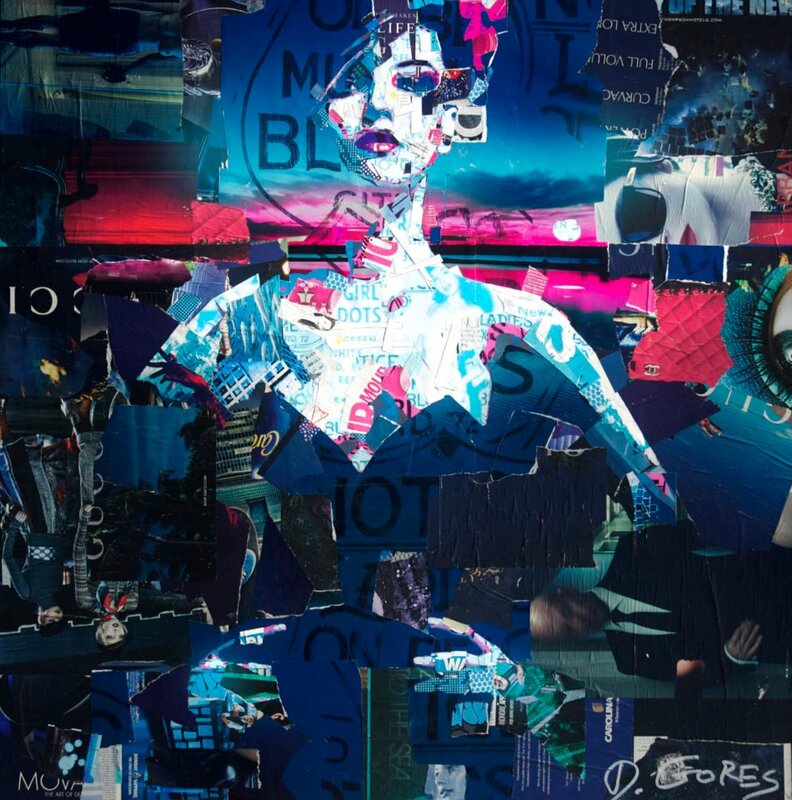 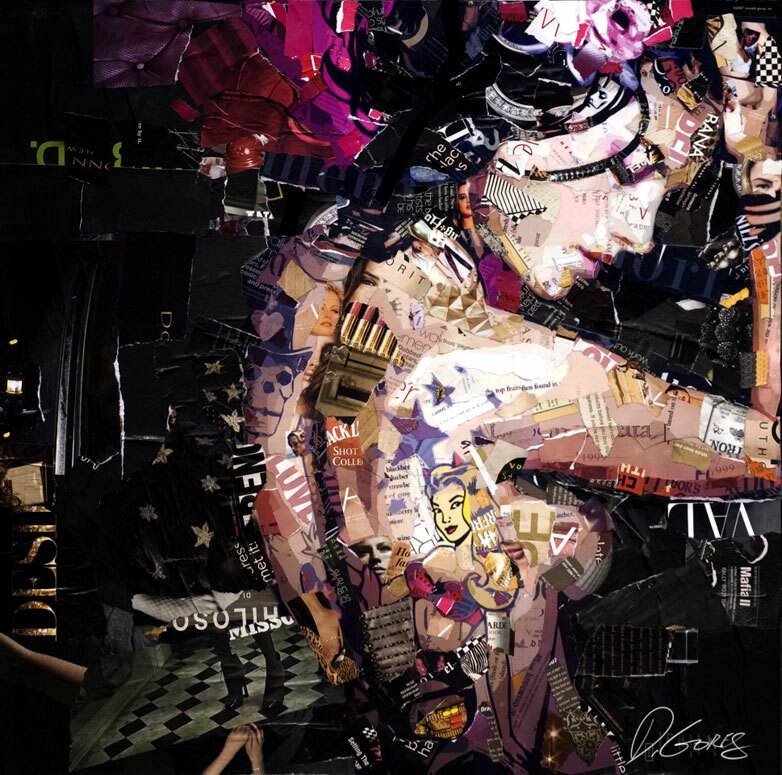 Derek Gores Born 1971, New York. 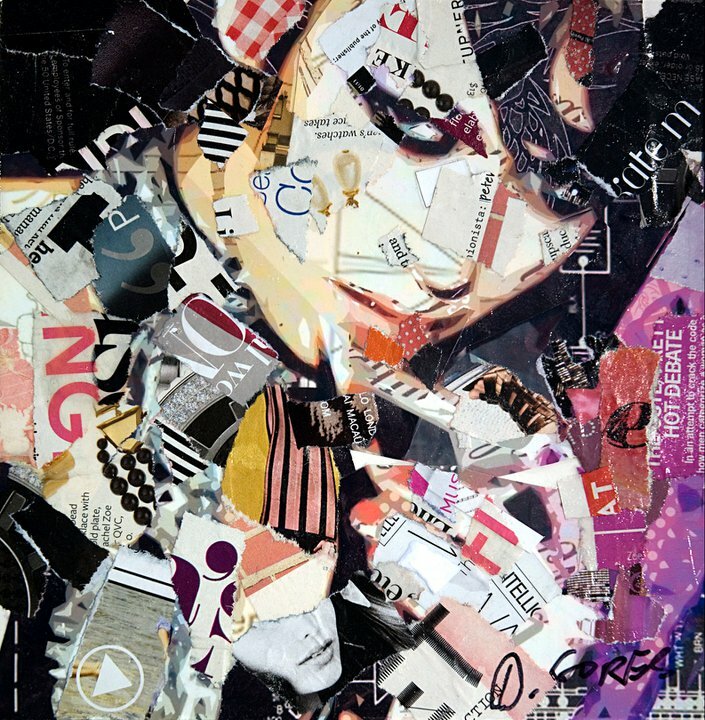 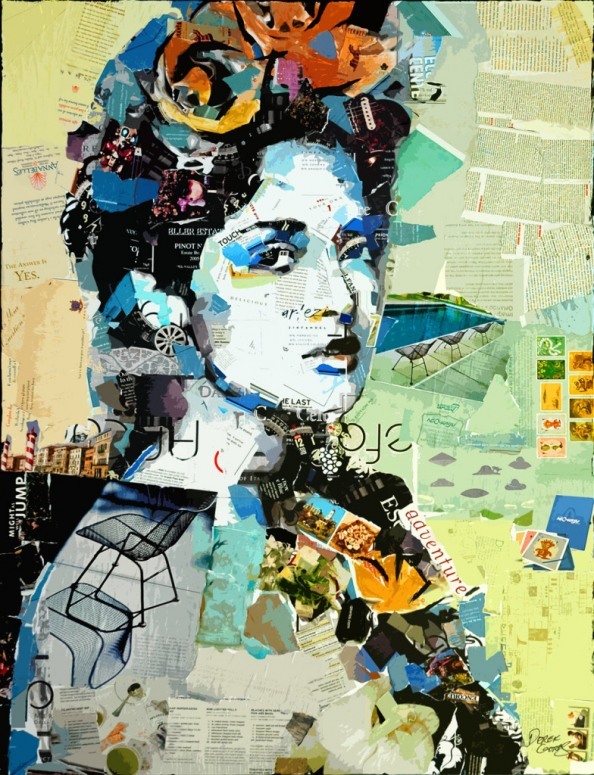 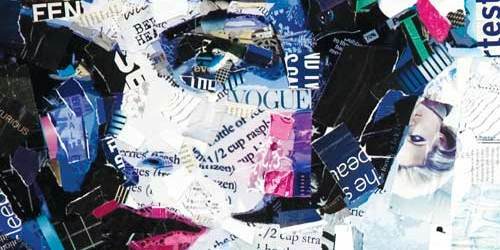 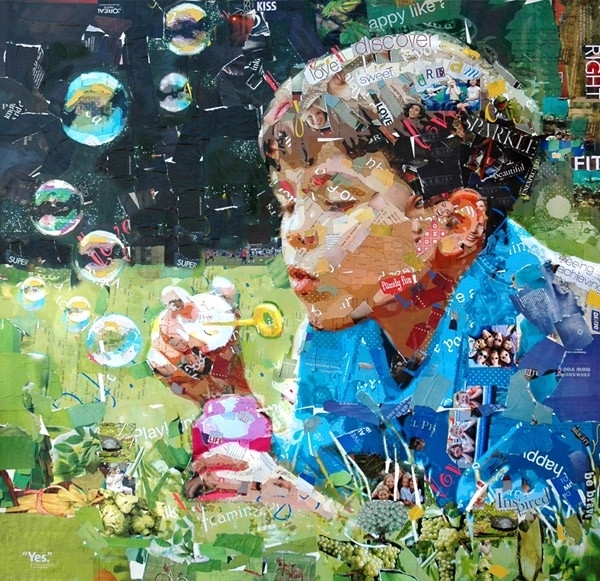 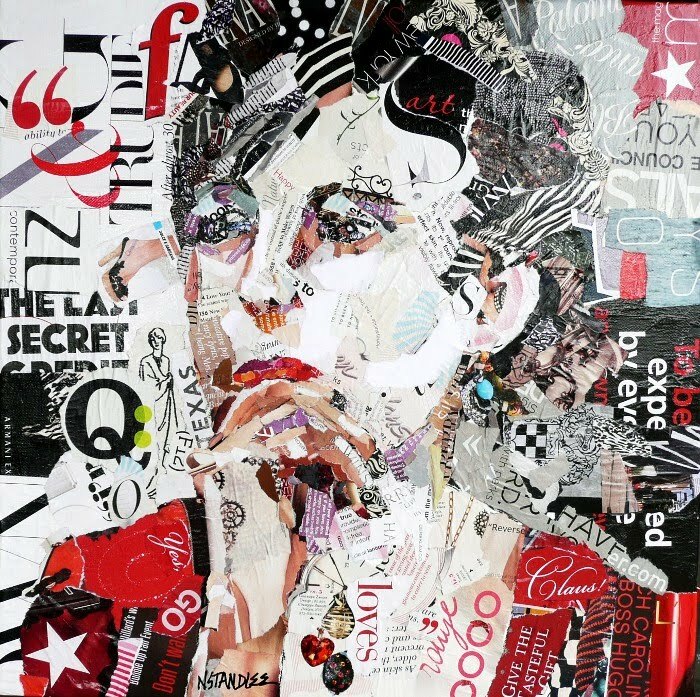 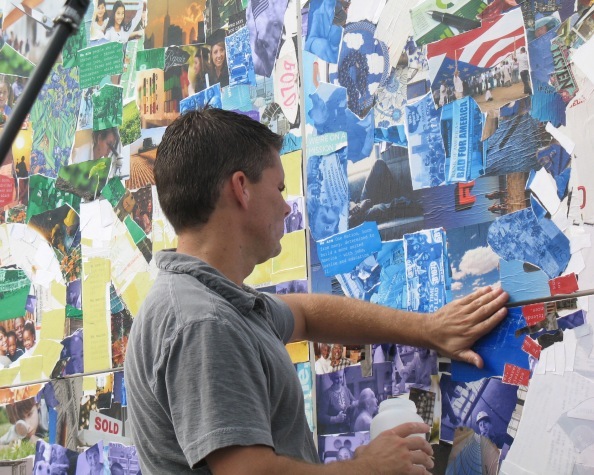 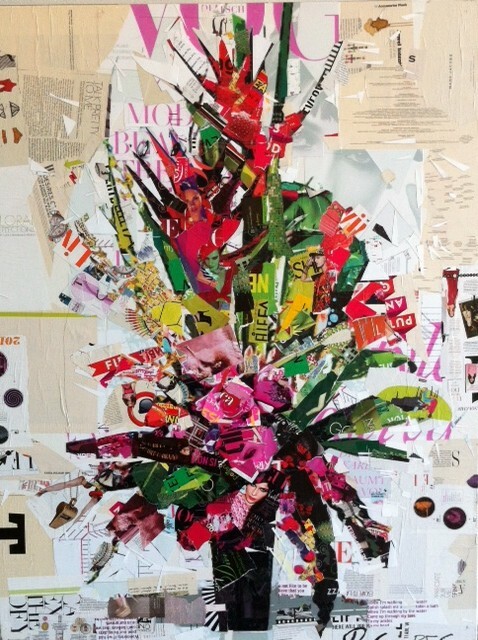 Derek has gained national attention for his collage portrait series, recycling magazines, labels, and found materials to create the works on canvas. 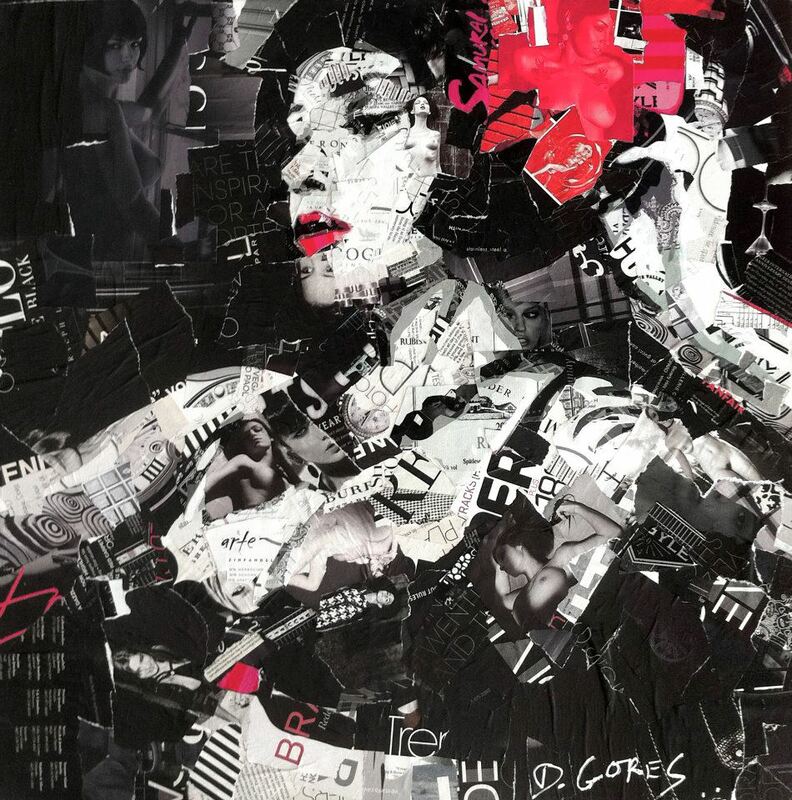 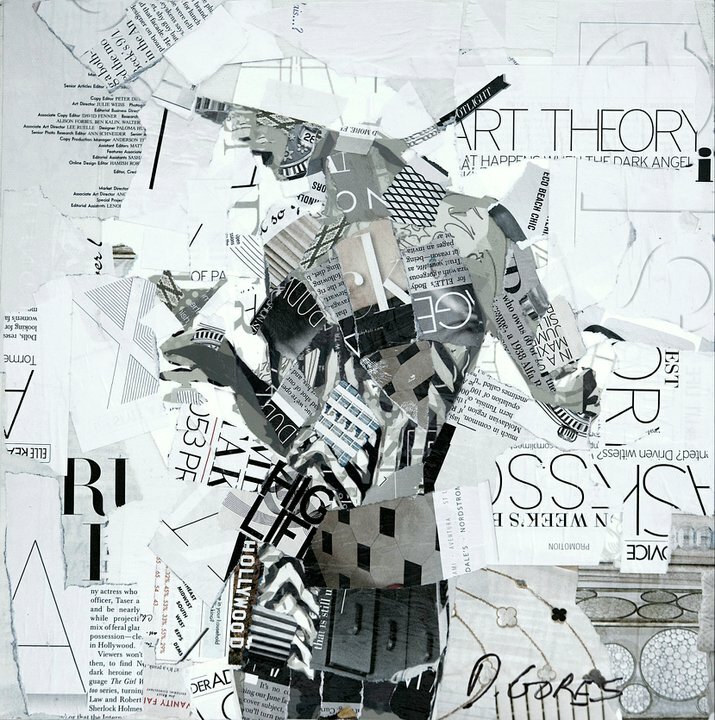 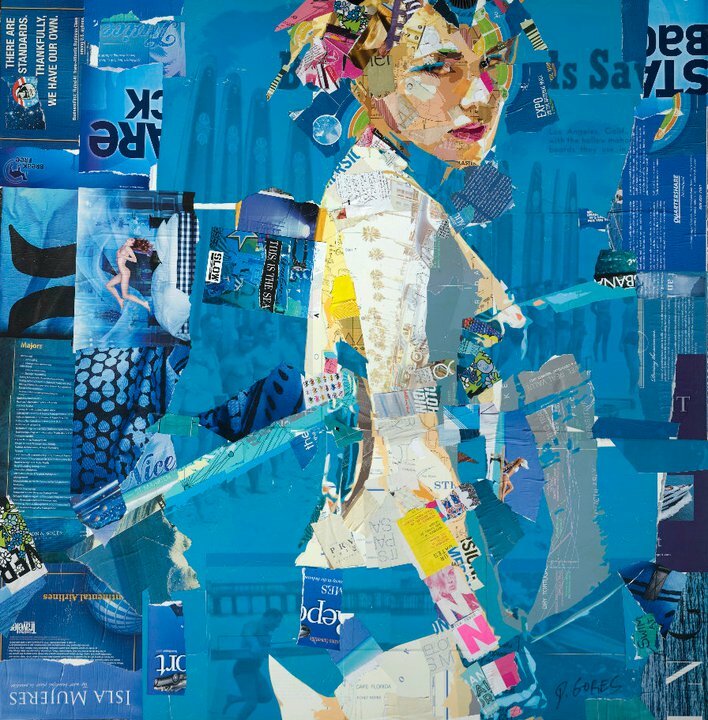 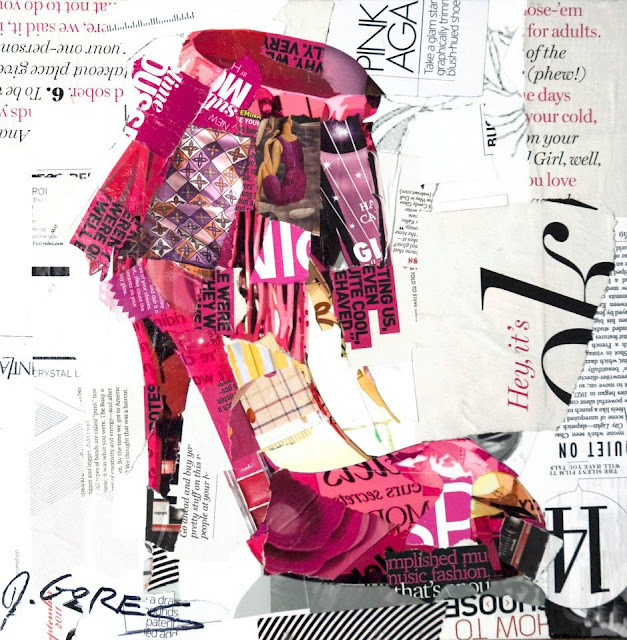 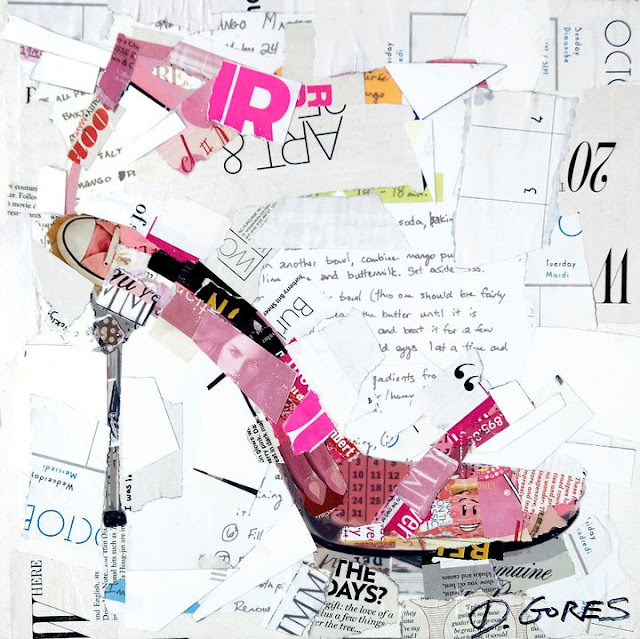 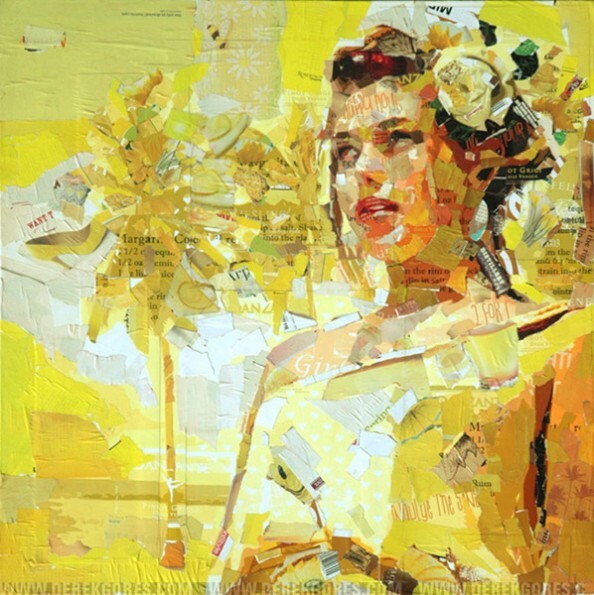 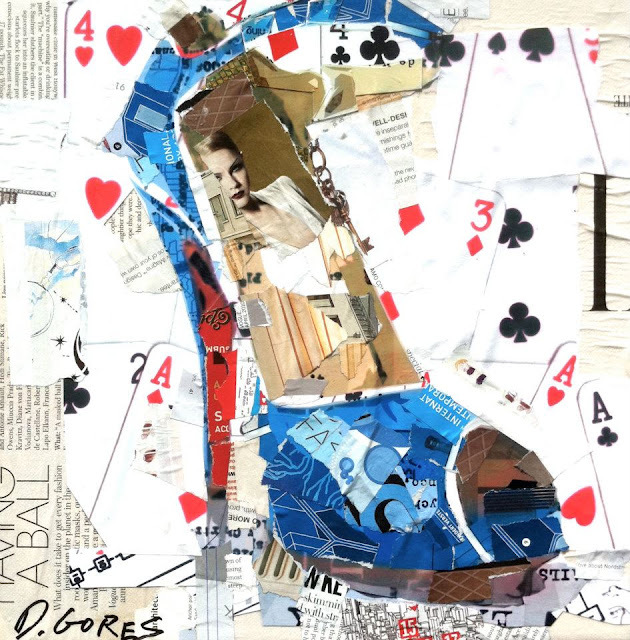 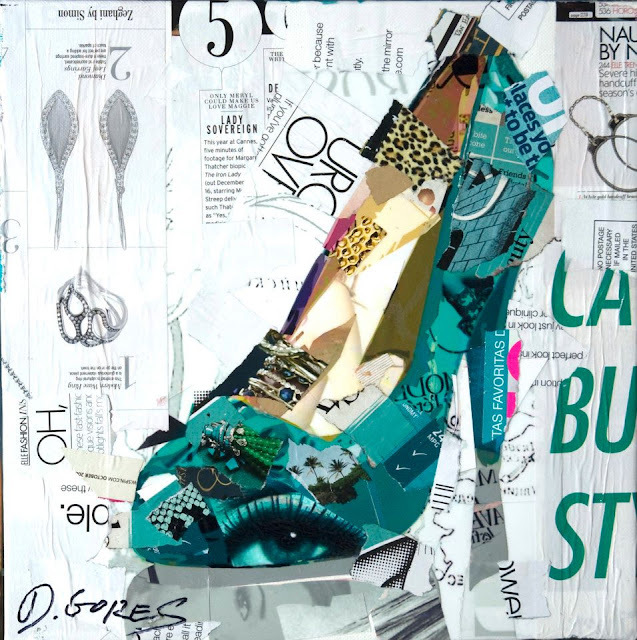 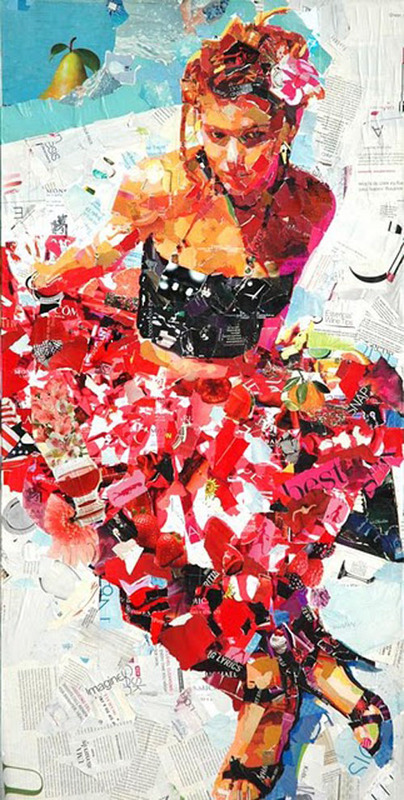 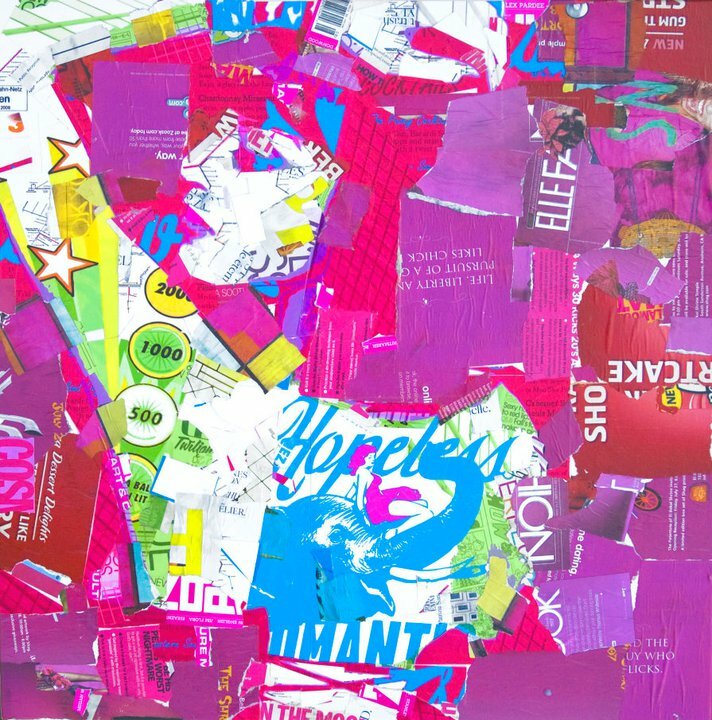 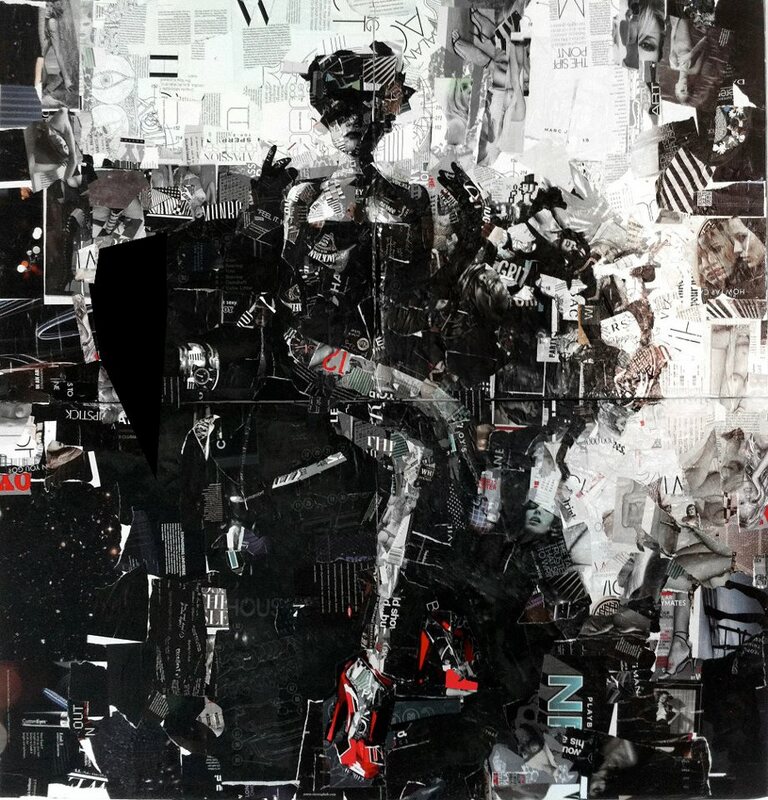 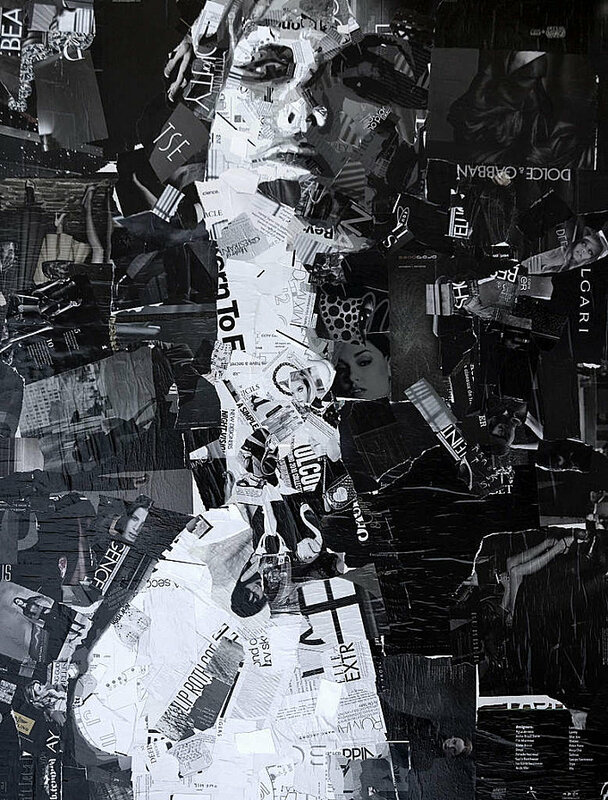 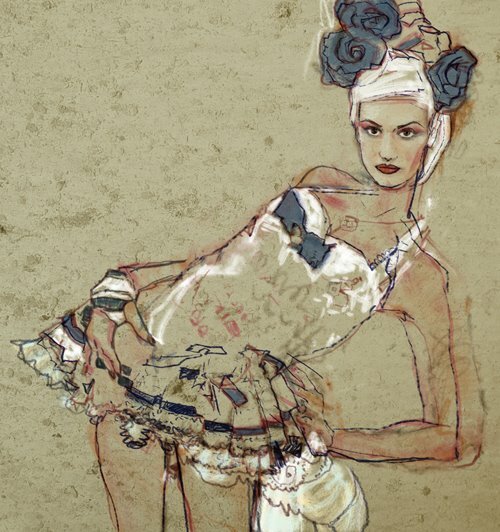 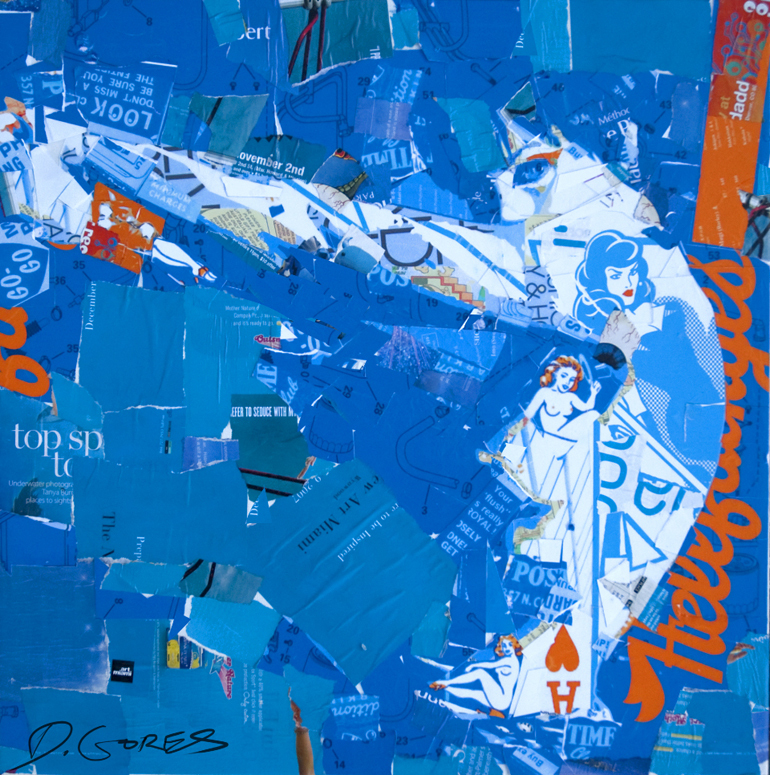 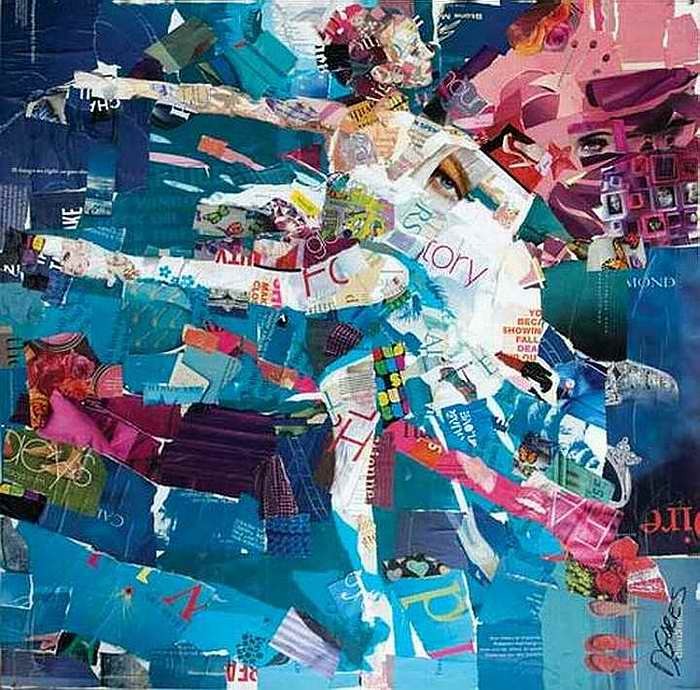 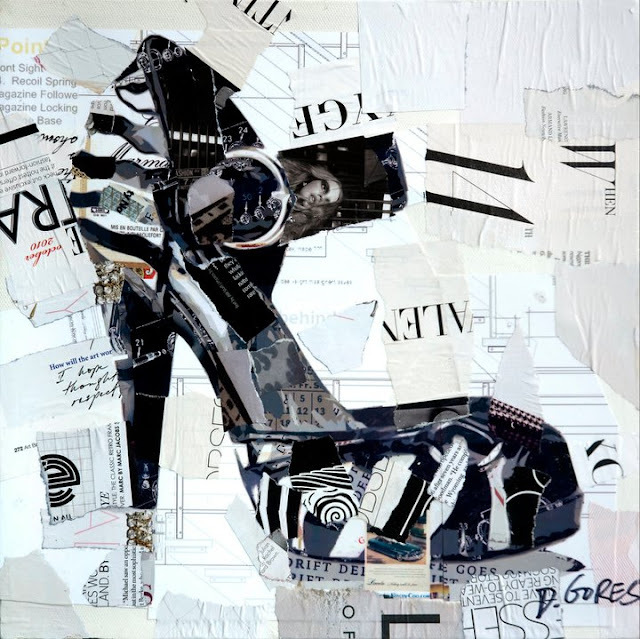 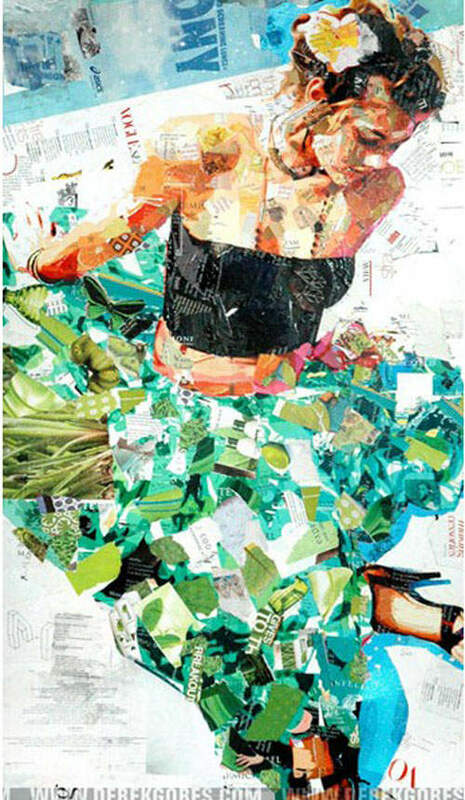 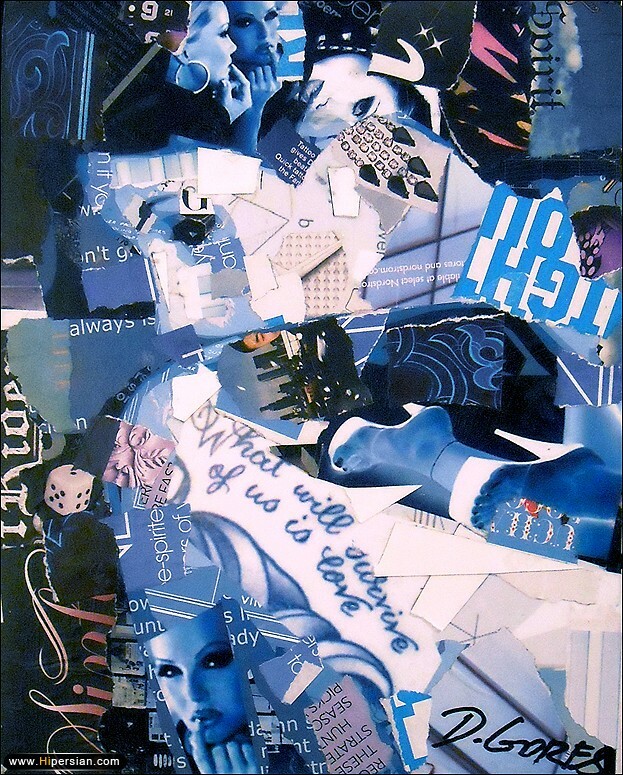 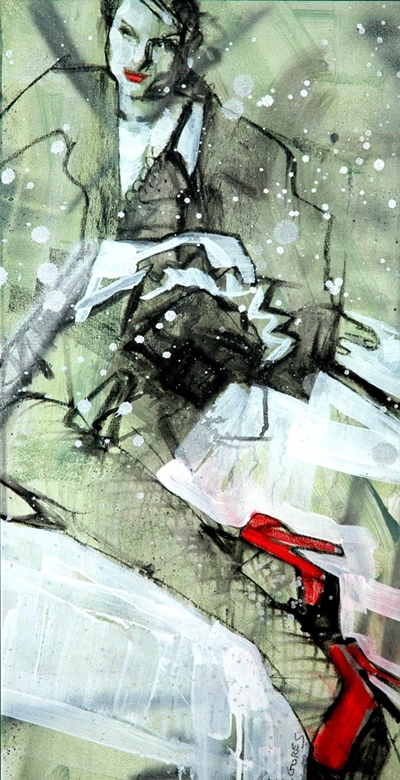 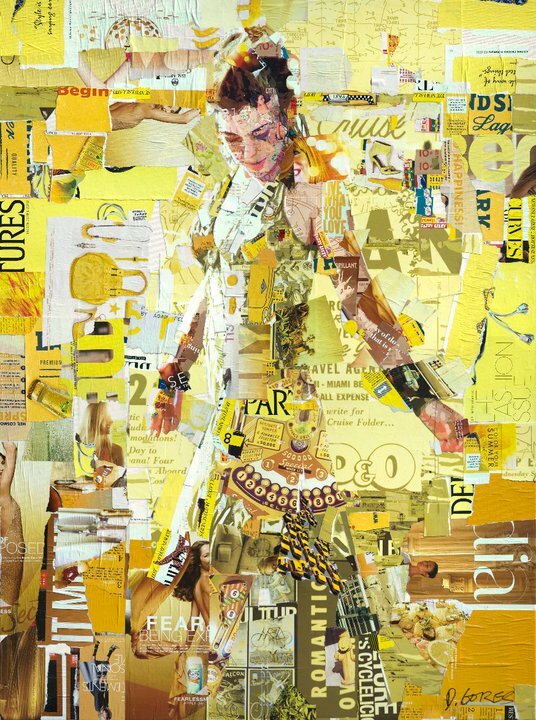 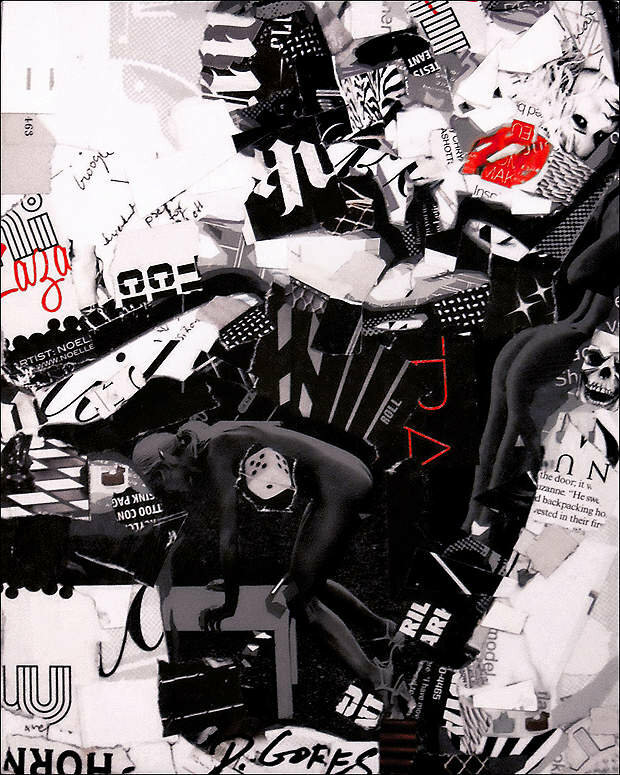 The series showcases Gores' contrasting interests in the natural beauty of the figure, the angular design aesthetics of fashion (and machinery), and a fearless sense of play. 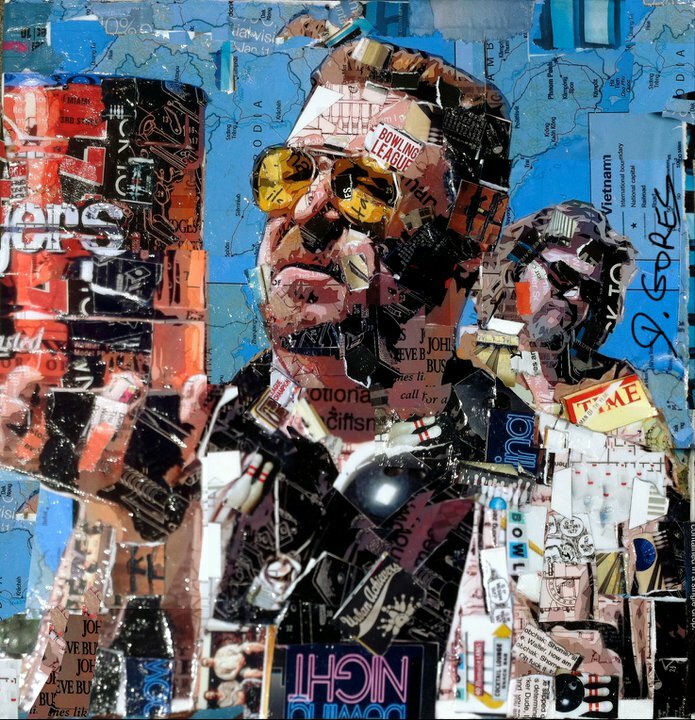 A successful commercial designer and illustrator for 15 years, clients include ESPN, Lenny Kravitz, Lucasfilm, Kings of Leon, U2, NASCAR, Adidas, Madonna, Harley Davidson, 321 Agency, Van Halen, the National Football League, LiveNation, SEIU, Love Haight Apparel, and JCPenney. 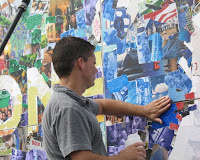 Derek lives and works in Melbourne, Florida, surrounded by the intellect and culture of the Space Coast. 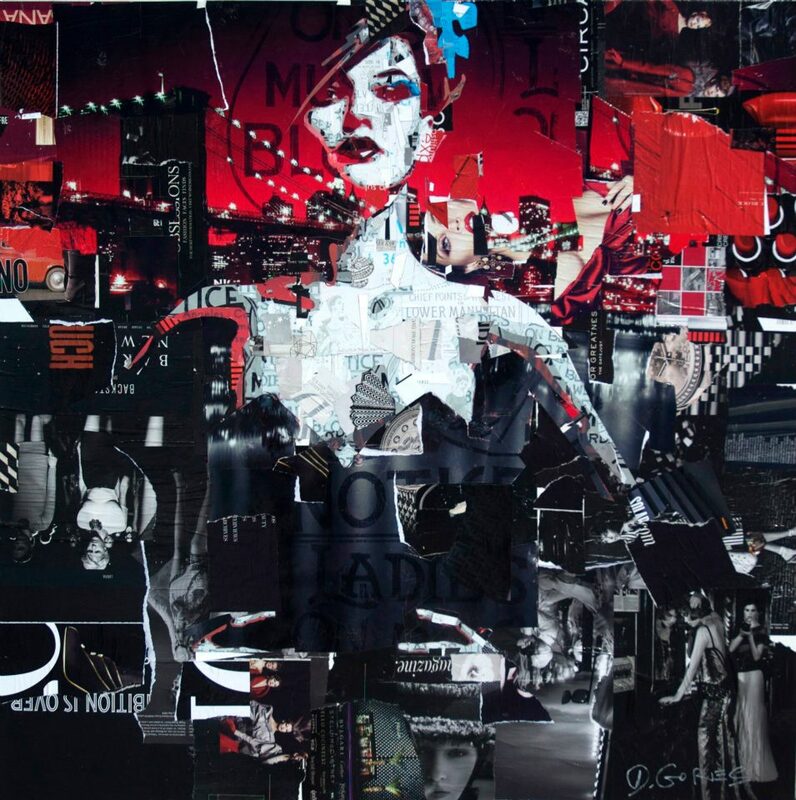 What a gorgeous collection you have! 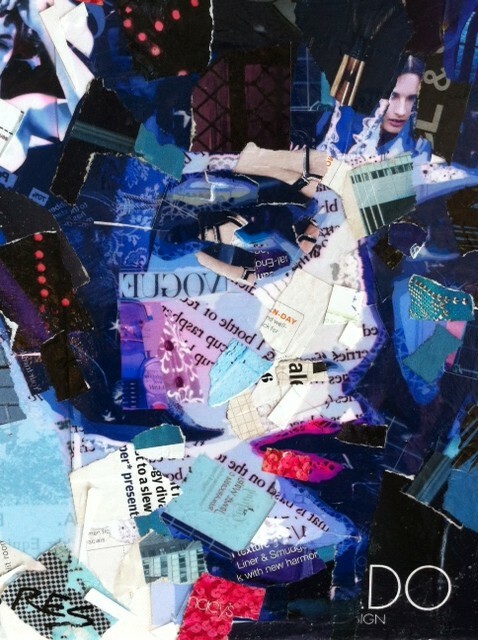 Your collages are magnificent! 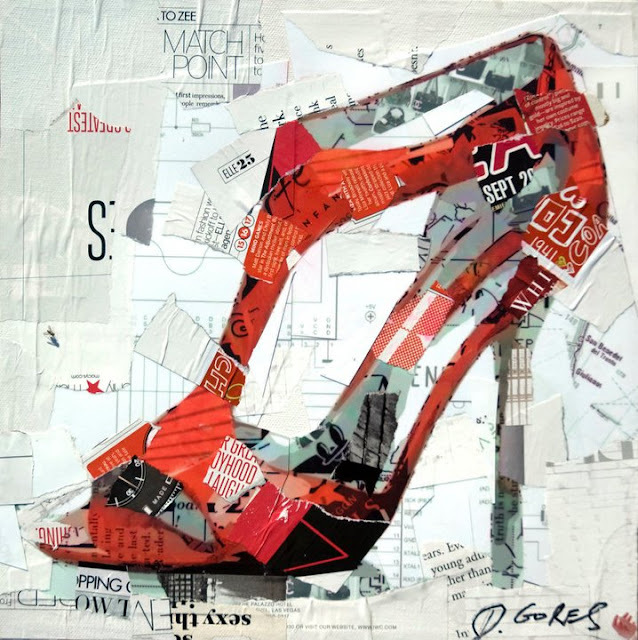 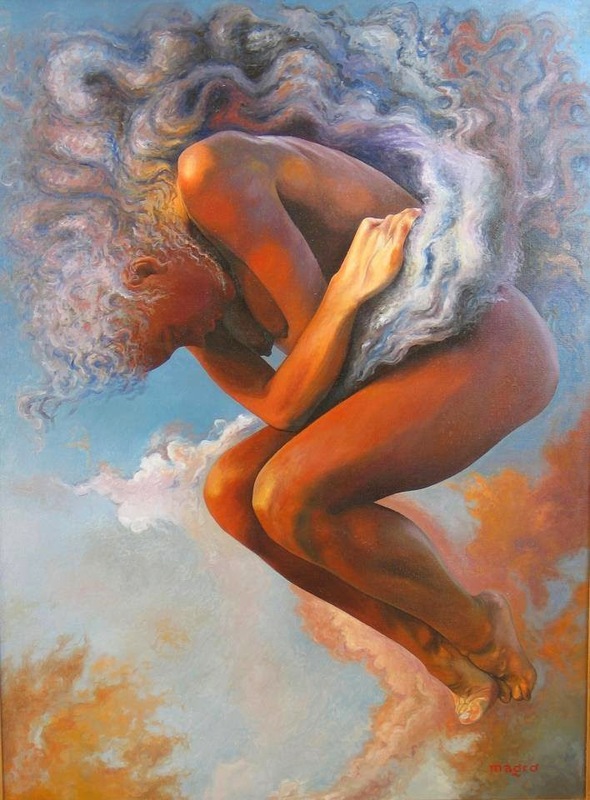 Great graphic on canvas ! 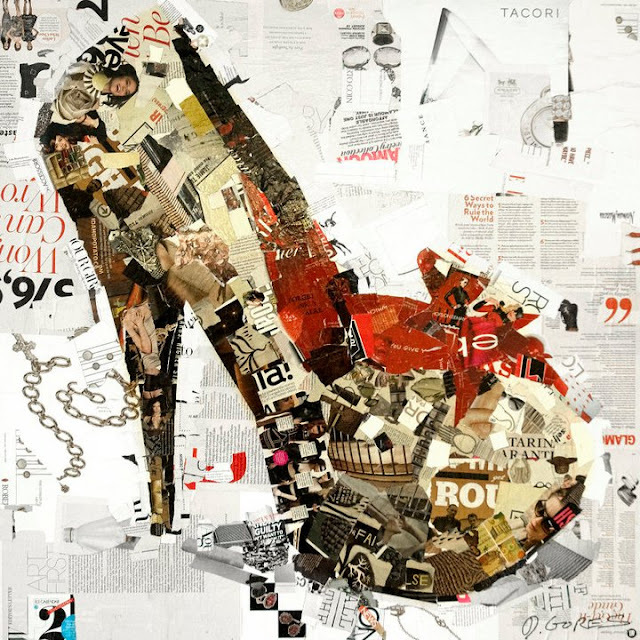 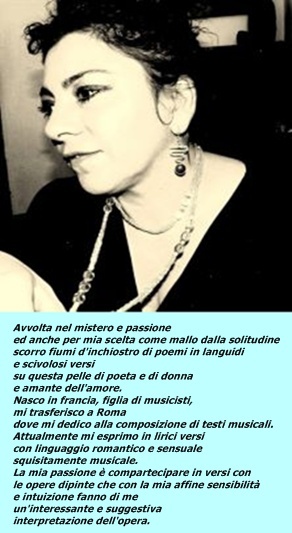 Thanks your post.